This is our April 2018 Real Estate Sales Report for Kennesaw, Georgia. Moving from Spring and approaching Summer, the number of real estate transactions in Kennesaw was slightly less than expected, with 9.2% fewer closed sales than the previous month. However, the number of new listings saw a significant increase of 10.6%, while the median sold price followed suit by increasing 7.1% to $257.000. 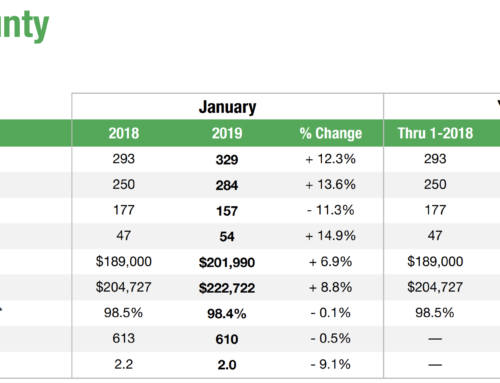 This is the third month of substantial increases for the median sold price in Kennesaw, and a glance at last year’s figures shows that the median sold price is actually up nearly 12% from last year! The number of active listings is 221, which is a 5-year low for the month of April, and the median number of days to contract is 8, which is also a 5-year low for the month of April. The average sold price-to-list price ratio is at 98.3%, which is yet another 5-year record for April. These figures all lead to one conclusion… if you’ve got a home in Kennesaw you want to sell, now is the time! If you are thinking of selling your home, feel free to use our Home Value Tool for a free report on your home’s current market value, check out our Home Sold Guarantee, or learn more about selling your home. For more details, be sure to download the full real estate market report! To view the full real estate sales report for April 2018 for Kennesaw GA, please click here. Call us today if you have a question about this report or are thinking of selling or buying a home in Kennesaw GA. And, if you’d like to have a market report for a different city, we’d be glad to provide it.